Mac This poor dog was taken to the police station by a homeless person (dog warden suspects it was his) he appears to be in good health and condition to have been living rough for any length of time. He is about 18 months old. He is entire not up to date with Vac's This boy is a real sweetie. he is great with people, including kids, and with other dogs. 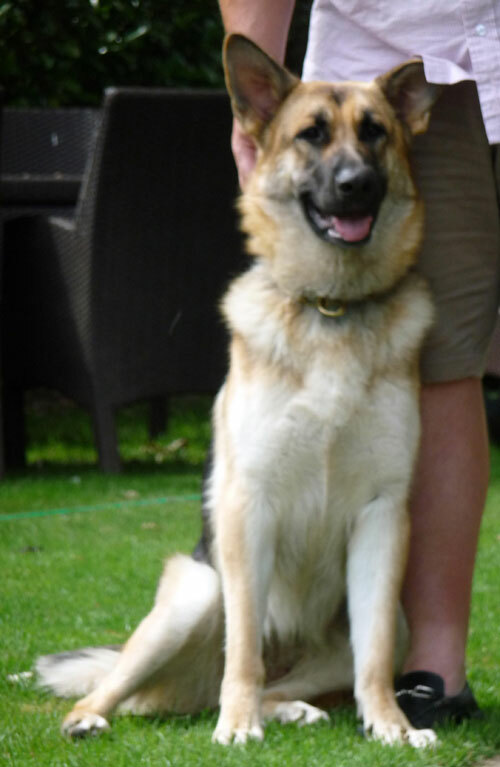 He is very gentle, playful, is calm when out walking and has good recall. He has settled well into our kennels. He is in the York area. 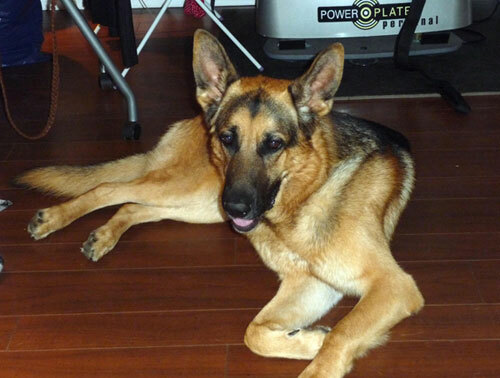 Rosco is a 5-year-old castrated male. He is a very big boy and absolutely gorgeous. Good with other dogs, but a little unsure of black dogs lives with a cat and ok to a certain degree with other cats. Good with children. Has had a bit of lameness and was on medication for it, appears to be OK. 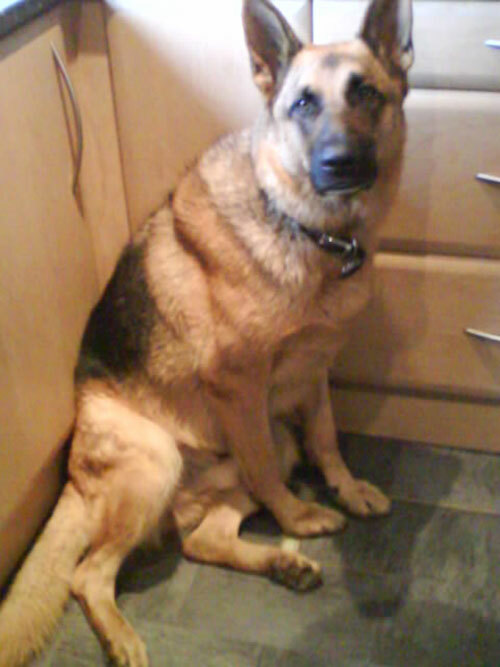 He is looking for a new home due to a change of owners circumstances. This is Spike, approximately 4 years old, entire male. Spike has had a tough life so far, being passed around, even given away for free via the internet, so when he became protective of his new owner they handed him over to the rescue. Spike has got very, very flat feet, obviously never walked. 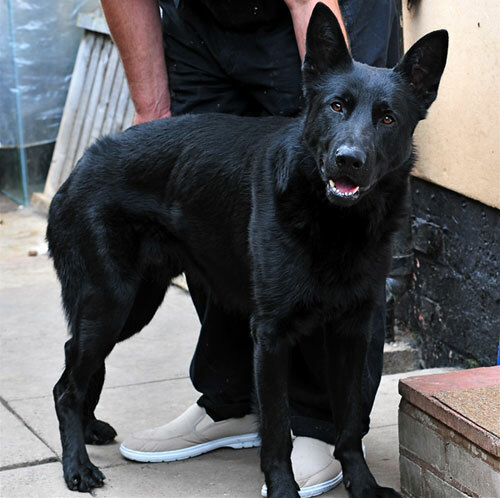 He can be quite protective and would need an experienced handler. We know little about Spikes background so will not rehome him with children. He hasn't been socialised around other dogs a great deal, so would be better as an only dog. 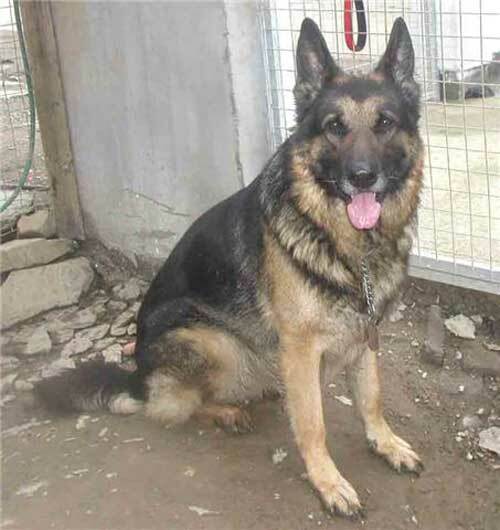 He is very loyal and would be a great companion for somebody, once he learns to trust you, and when he realises this will be his forever home. Unknown how he is with cats. PLEASE MAKE SURE YOUR HOMECHECKS ARE COMPLETE BEFORE APPLYING FOR THIS DOG AS SHE WILL BE SNAPPED UP. This is Bonnie an 11month old female and she is beautiful. 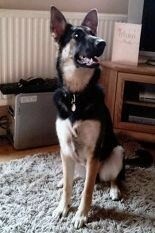 Bonnie currently lives with another 11-month-old male GSD who is bullying her and a female Labrador. She is good with children, I had my 7-year-old child at the assessment and she was great, that said she also lives with three children aged 8, 13 and 18 years. She is unknown with cats; however, the owner’s said that she is so laid back and accepting she would probably be okay. There are chickens in the garden and she is not bothered by them. She is microchipped and fully vaccinated. She is good on the lead and knows all her basic commands. Apparently Bonnie went off to “school” so has been trained properly. 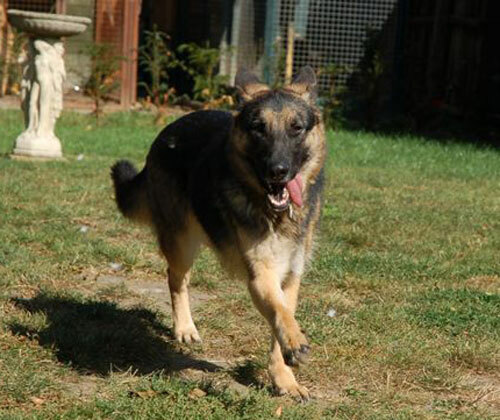 Bonnie is a very easy dog that is a stunner and will make a fantastic family dog. I loved this dog – what a gorgeous boy. Badger was so friendly when I arrived and makes you realise why we love this breed, he didn’t know me but allowed me to play and cuddle him, rolling around upside down. 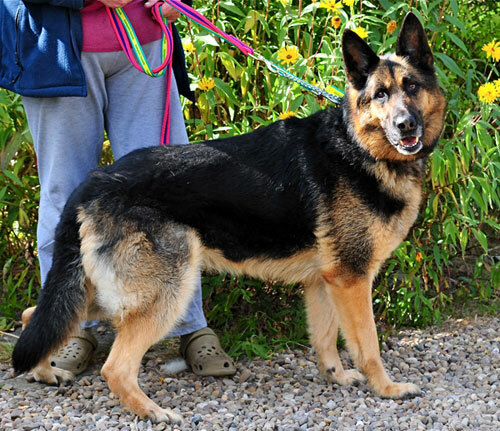 Badger is a 3-year-old, short coated Black & Tan entire boy. He currently lives with a female Border Collie and two cats. I saw his interaction with one of the cats and trust me even I wanted to bash this cat; he was so well behaved and restrained. He is fully housetrained and travels well in the car. Badger also lives with two young children aged 6 and 8. He really is the perfect accessory to any household that wants a very well balanced, easy dog. He is ok walking on a lead, but as he lived on a farm he was mostly walking by your side without. He is up for rehoming as his current owner has separated, moved accommodation and is working extending hours. Max is 3, loves people including children. Not sure about cats and he has not been socialised with other dogs. 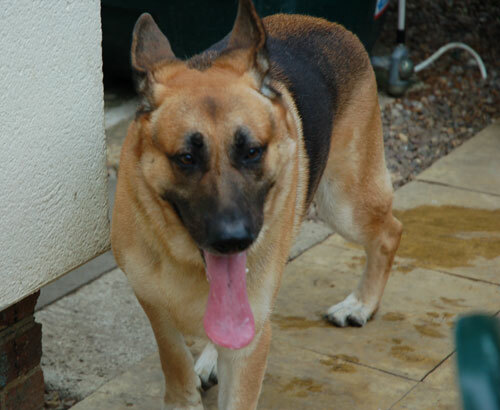 Owners have not let him off lead very much and he does pull on the lead plus his recall will need some work. A little overweight as he has not been exercised much. 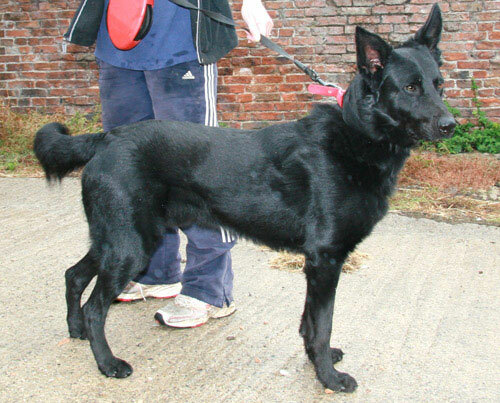 Jet is a lovely young dog who is a little nervous at first but soon settles. He is fine with visitors including grandkids that visit. He lives with another dog not sure about cats. He loves his ball and squeaky toys. He will make a fantastic pet but will require a little training on the lead. He is not neutered. The reason for rehoming is that his owners are downsizing house.